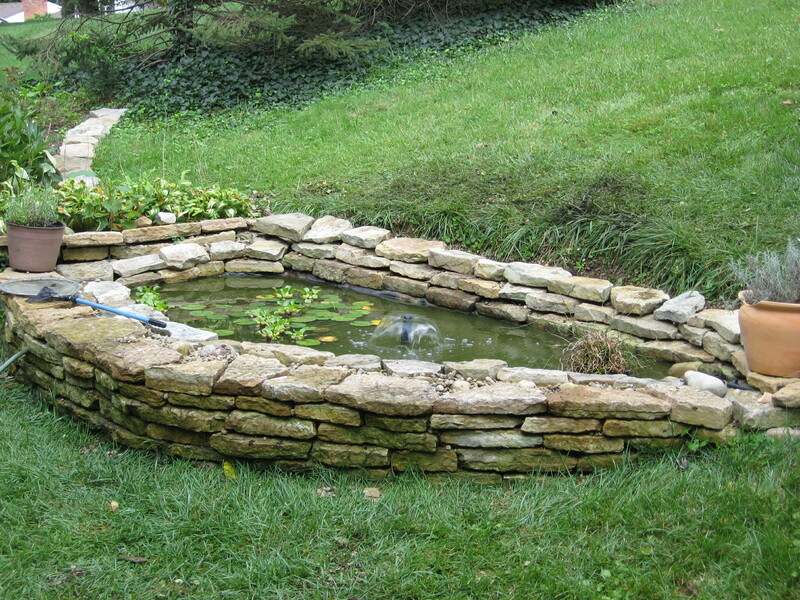 The pond wall looks a lot more stable, though it was very hard to get the height just right. I’m now able to get about an inch more water into the pond. That doesn’t sound like much, but it makes the pond look a lot better. I just hope that the new wall is stable. I don’t want to do this again for at least seven years. I decided it looks fine with just 3 courses instead of 4, so maybe the lighter weight will help.